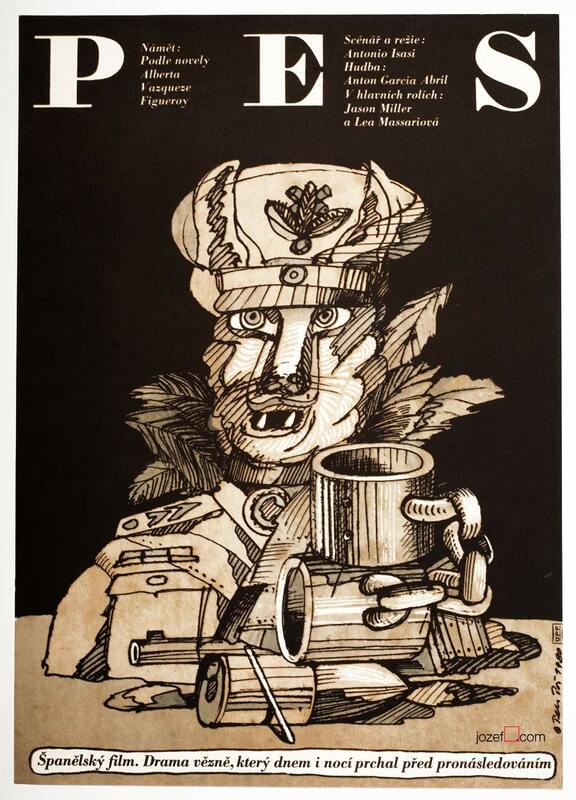 Movie poster for František Vláčil’s adaptation of Josef Čapek with powerful surreal illustration by Czech artist Petr Poš. 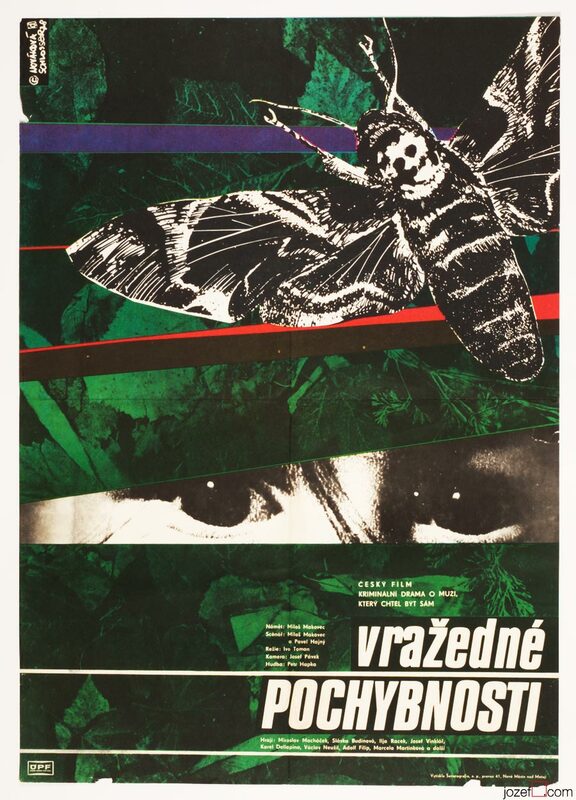 Surreal movie poster illustration by Petr Poš. Poster is folded in the middle and creased on edges. Right edge with several tiny cracks. Large folds in top corners. Few soft spots across. 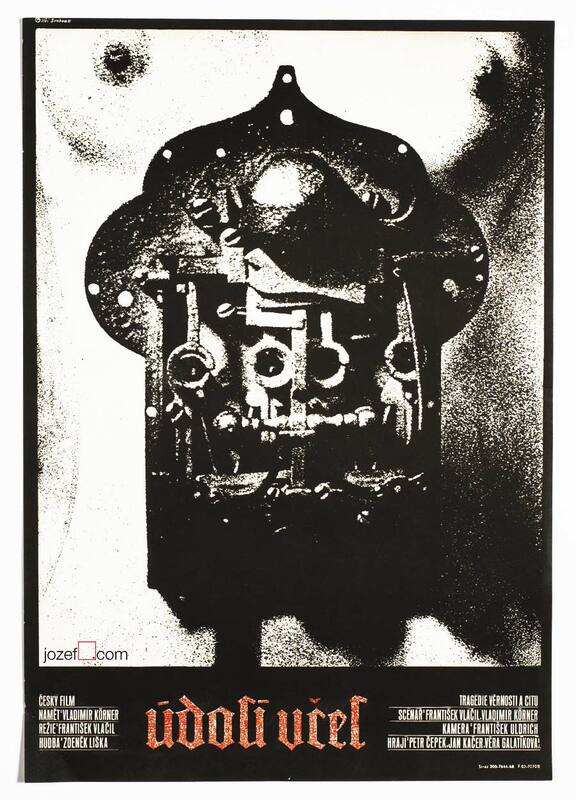 Movie poster is in A3 format (42 x 29.7 cm). Very nice condition (NOT PHOTOGRAPHED, PLEASE ASK IF YOU WISH TO SEE A PHOTO). 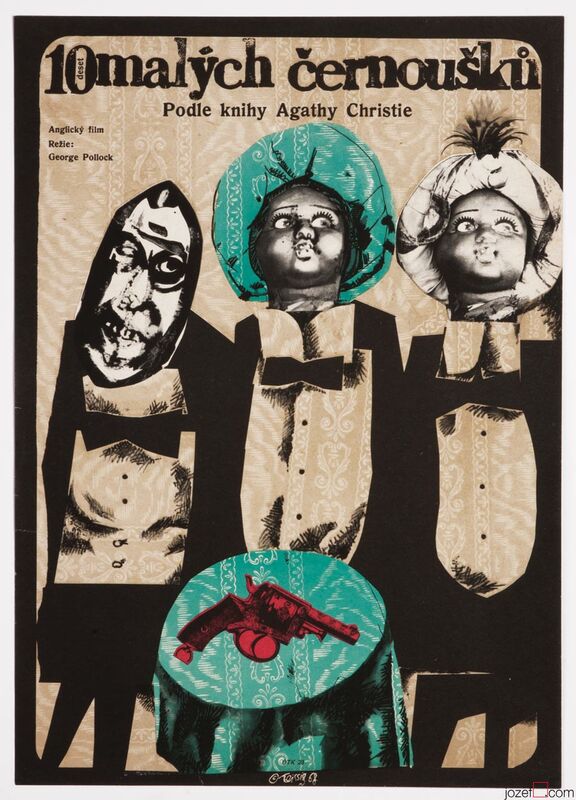 illustrated movie posters in our online poster archive. 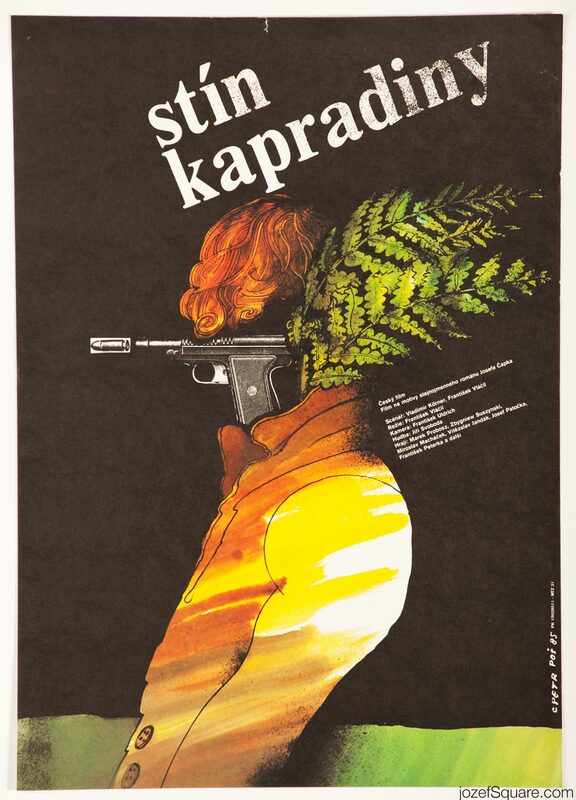 Be the first to review “Movie Poster – The Shadow of the Ferns, Petr Poš, 1985” Click here to cancel reply.